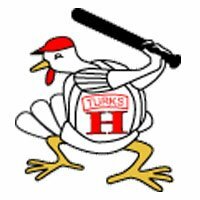 The Harrisonburg Turks scored 12 unanswered runs, including eight in the seventh inning, to complete a 13-8 comeback victory over the Woodstock River Bandits on Sunday night. Every starting batter for Harrisonburg recorded at least one hit and scored at least one run. The Turks sent 13 batters to the plate in the seventh inning, in which they went from an 8-5 deficit to a 13-8 lead. Woodstock gave the Turks’ pitchers trouble in the early innings, scoring at least one run in the first five frames. Trailing 8-1 in the bottom of the fifth, shortstop Steven McLean sped home from first base on a Christopher Barr double to start the rally. McLean finished the night by going 4-4 with a walk, three runs scored and an RBI. Joey Roach, McLean and Thomas Spitz had back-to-back-to-back RBI hits in the sixth inning to shrink the lead to 8-5. Luke Scherzer (1-0) recorded his first win of the season after making just his second appearance. He threw four innings of relief, allowed two runs on five hits and struck out three batters. Cam Maxey (0-2) took the loss after he allowed three runs in the seventh inning without recording an out. This is the fourth win in a row for the Turks, who improve to 16-7 on the season. They are a half game back of Front Royal, which visits Harrisonburg on Wednesday for a matchup of league leaders at 7:30 p.m.